Viewings BY APPOINTMENT ONLY - Sunday from 10am-12pm. 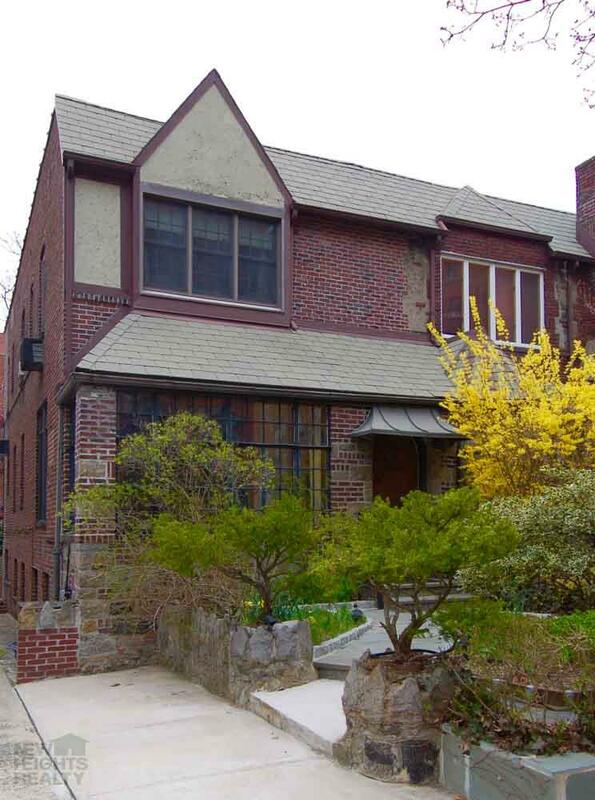 Located in the newly designated Inwood historic district, this wonderful home has been lovingly maintained and lived in by the same family for over 30 years. These gems rarely turn over. Here?s your opportunity to own a truly unique home on one of Manhattan?s most beautiful blocks. Enter through the large airy sunroom and entryway. 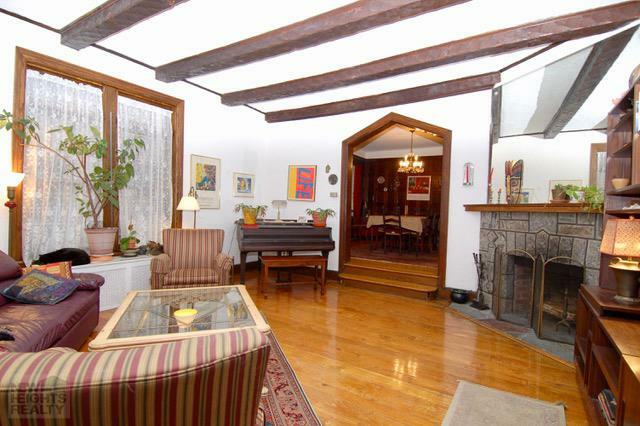 Then one step up to a large living room with a working fireplace. 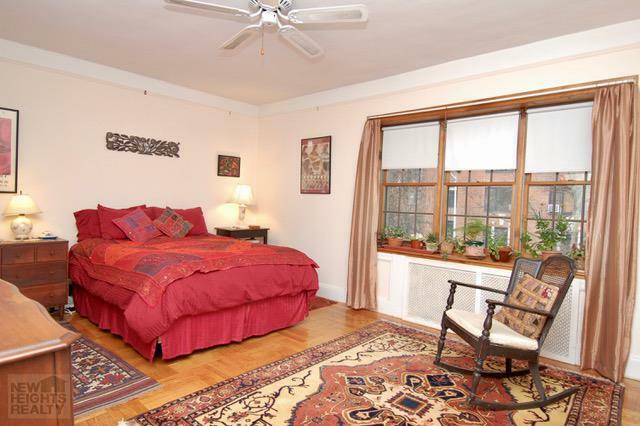 There are hardwood oak floors throughout. 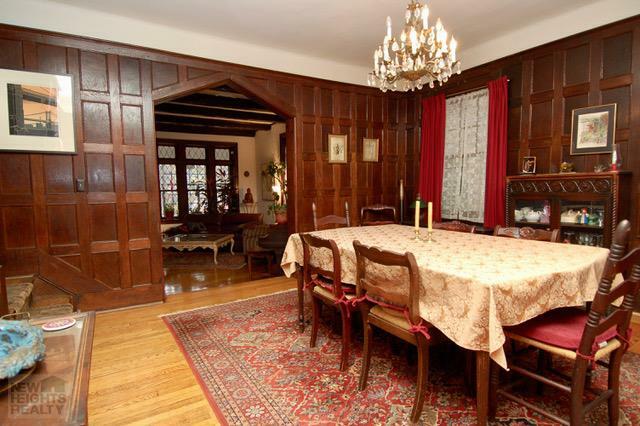 Beyond the living room is an original oak-walled formal dining room. 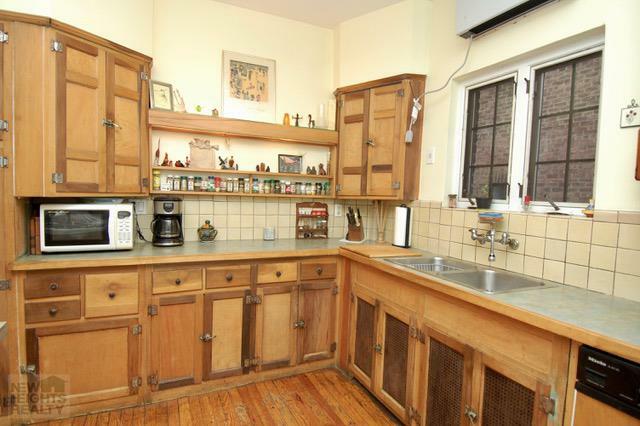 Toward the back of the house is the original kitchen with stove, fridge, sink, dishwasher and and eat-in kitchen area. The back porch is right off the kitchen and overlooks the back yard. There are three bedrooms and two bathrooms on the 2nd floor. 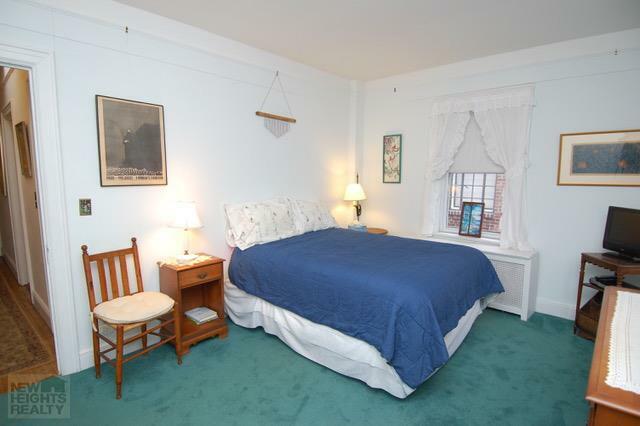 The spacious master bedroom has a southern exposure and a private bathroom with shower. 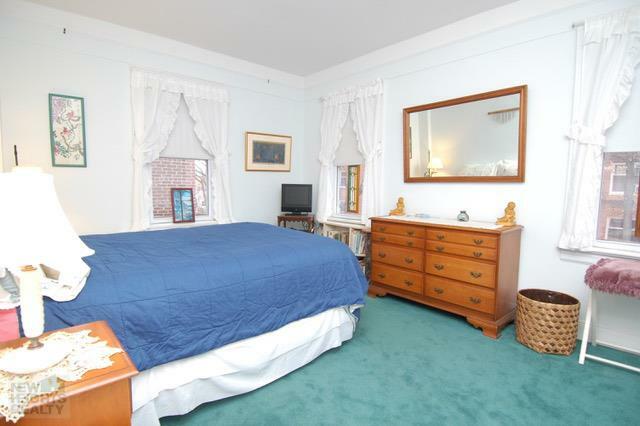 The second bedroom faces West. The third bedroom faces the North. 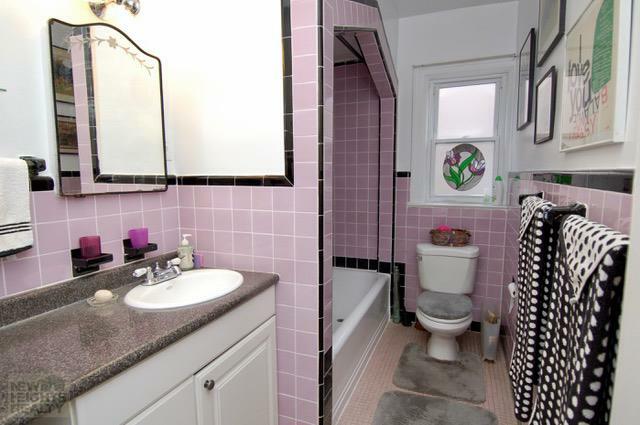 There is a full second bathroom off the upstairs hall. 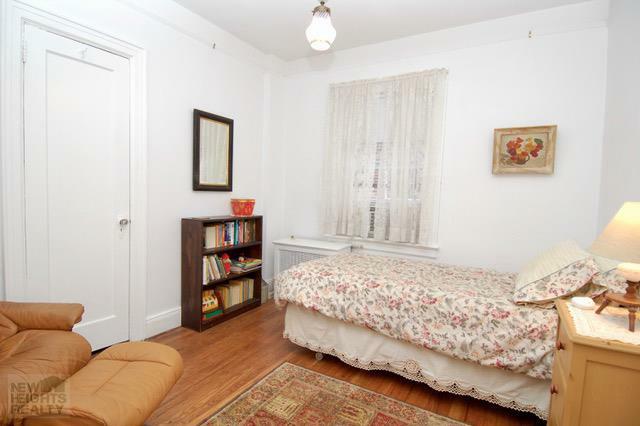 The ground floor has a laundry room with a sink, front-load washing machine, and a gas heat dryer. Next to the laundry area is the gas furnace for heat and hot water. Behind this area is a very large storage room. 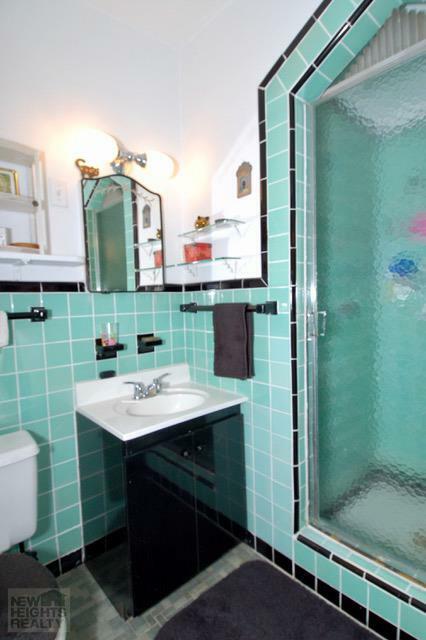 There is a bonus room and a third bathroom with a shower. 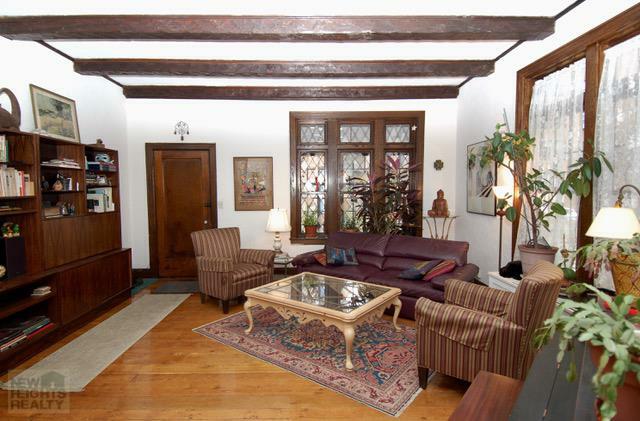 The den/office/playroom/family room/great room has pine board walls and a working fireplace. The utility room is off the large room with a circuit breaker box, smart gas meter and water meter. Long private driveway & garage.